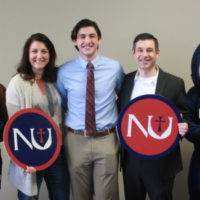 Newman University’s student-run newspaper, The Vantage, is celebrating decades of success as the voice of the students on campus. 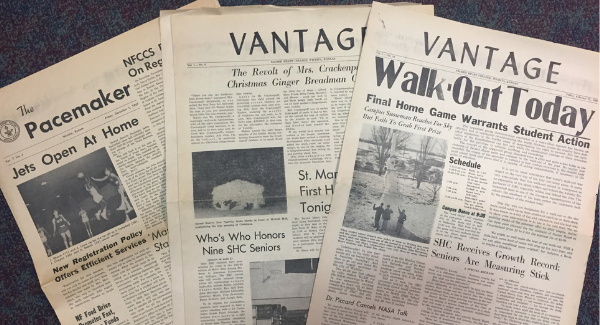 The paper has been around since 1954 when Newman University was known as Sacred Heart College and The Vantage was simply called The College News. Current editor-in-chief of The Vantage Courtney Klaus said, “For years we’ve been known as the student voice of Newman University. That’s because we are the student newspaper so the things we write about are typically things that concern students or opinion articles that are the voices of students. 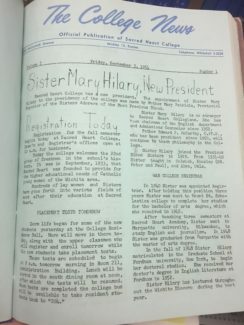 The first edition of The College News was printed on Friday, Sept. 3, 1954, with a handwritten headline of “Sister Mary Hilary, New President.” That was the same year the college had changed its name from Sacred Heart Junior College to Sacred Heart College, seemingly a good time to start a brand new student newspaper. 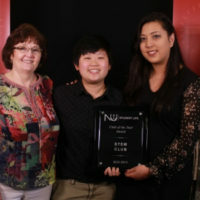 The paper was created to inform students of happenings on campus, achievements of peers and faculty, upcoming events and even included jokes and comics. 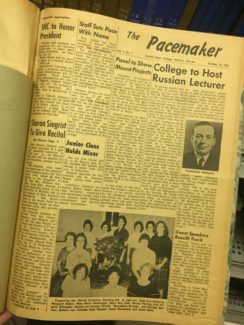 The paper changed its name to The Pacemaker on Oct. 16, 1961, and became The Vantage on Aug. 30, 1968. This year, The Vantage has a staff of more than 12 students, six of whom are editors and writers and various others who write and take photos for the paper each week. Putting the paper together is no easy task for the team and each paper takes a lot of time and planning. However, if there’s a big enough development, the team tries to work it in. 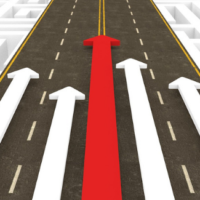 A more experienced reporter will cover big news stories that come in late due to the rushed nature. 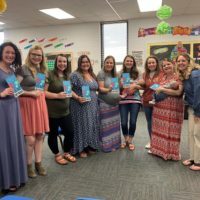 The team is encouraged to have interviews done by Monday and stories finished by Tuesday when the first draft edits are completed. On Tuesdays, editors read through each and every story looking for errors and work on a rough format for the paper. 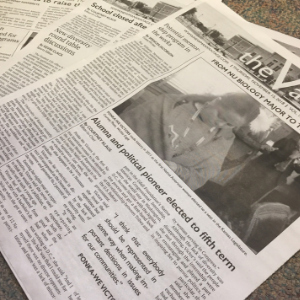 Five hundred copies of The Vantage are printed each week and distributed around campus. The paper is also available online for readers who don’t frequent campus. In her first year as editor, Klaus has made some changes to the paper, the main one being the website host used by The Vantage. Its website is now more user-friendly and looks more like a typical news site. The Vantage has been working on their online presence since 2012. Another change Klaus is excited about was the addition of comics to the newspaper. She creates a comic each week called The DisadVantage that relates to student life on campus. Klaus dreamt of a career as a cartoonist when she was younger and is enjoying the creative outlet. The Vantage is funded by student fees but the exact amount they get is determined by the Student Government Association. Most student writers are volunteers but can apply to gain credits toward a journalism practicum through their work. The editors get a small stipend and the rest of the money goes to printing costs. The Vantage is printed in black and white to save on cost but the paper displayed its first color photo this year thanks to an ad covering the cost. 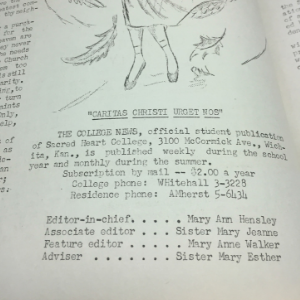 To view the history of the student newspaper, visit the archives department in the basement of Sacred Heart Hall or contact Sue Koenig, director of archives, at (316) 942-4291, ext. 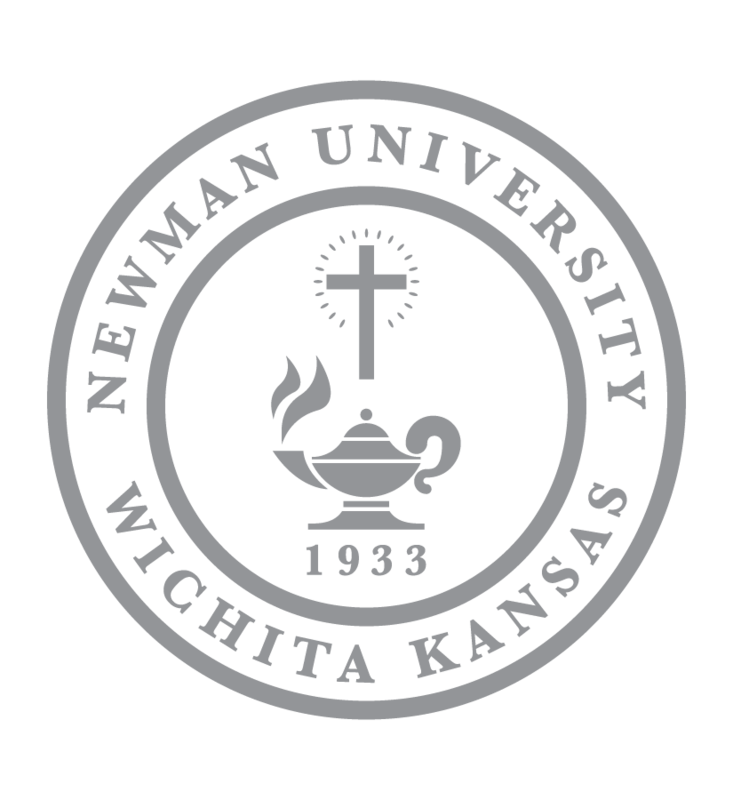 2467 or koenigs@newmanu.edu.